General garden fertilizer can be applied annually to enhance the overall vigor or health of the garden. Understanding what fertilizer is, how it helps your garden and when or even if it should be applied, can be the key to growing a successful garden. 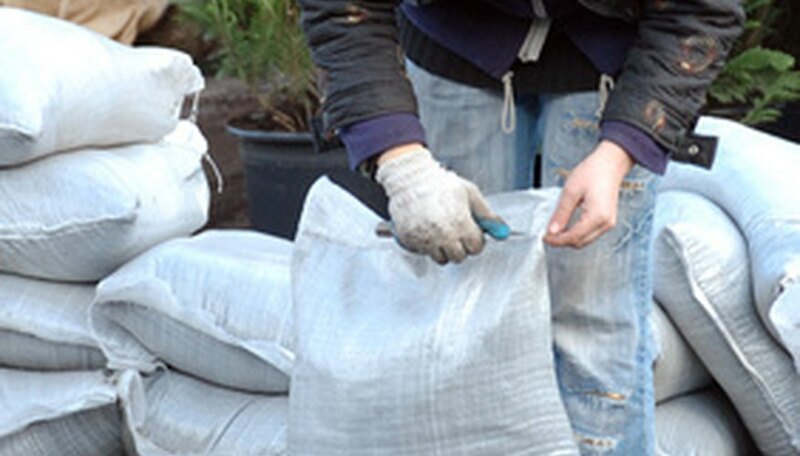 As all gardens are not crated equally, care should be used before applying any fertilizer treatment. Fertilizer can be defined as the chemical mixtures or any organic material used to make soil more fertile or productive. Organic fertilizers would be anything produced by nature including but not limited to manure, compost and green cover crops that are later tilled into the soil. Inorganic or chemical fertilizers combine various chemicals, blended in specific proportions to achieve a predetermined result, depending upon the particular application. General fertilizer is one that has the three main macronutrients, nitrogen, phosphate and potassium blended in equal amounts. This would appear on the label as 10-10-10 or 12-12-12, for example. Even a general fertilizer is not needed for most gardens and should not be applied unless symptoms of nutrient deficiency appear. Symptoms indicating a deficit of nitrogen would include slow growth, yellowing of foliage and smaller than usual leaves. If phosphate is lacking, plants may also display slow growth or dark blue-green colored leaves that might have red or purple veins. Potassium deficiencies materialize in the edges of lower leaves which may appear yellow or may develop brown patches. These symptoms alone or in combination, may be indicative of the need for a general garden fertilizer. Most gardens are comprised of a variety of plants or crops, each with its own nutritional needs. For the home garden, a balanced fertilizer of 10-10-10 or 12-12-12 is usually adequate to meet the garden’s needs unless specialty plants are involved. Lawn fertilizers should not be used as many contain weed killers which could also be harmful to other plants. The type of garden being grown also plays a part in fertilizer decisions, particularly the quantity and frequency of application. Vegetable gardens have a high need for nutrients provided by general fertilizers and vegetables with similar nutrient needs should be planted close to each other to obtain the greatest advantage from the fertilizer application. Flower gardens consisting of primarily annuals have only a medium need for fertilizer while those with perennials have a medium to low need for it. Vegetable gardens need 2 pounds of general fertilizer for every 100 square feet of garden space. This should be divided in half. The first application should be made just prior to planting and second about 4 weeks after planting seed. Flower gardens require only half as much and perhaps less depending on the varieties and quantity. Each of the 3 components for general fertilizer is responsible for a different aspect of plant growth. It is generally accepted that nitrogen enhances leafy, top growth; phosphorus assists the growth of roots and fruit and potassium improves general durability, cold hardiness and disease resistance. Consider what your plants need before adding any fertilizer. The danger of adding nitrogen, for example, too early or too late is that it could produce the wrong results. Nitrogen applied late in the season to perennials will stimulate plant growth when the plant should be preparing to go into dormancy. It can also cause the plant to put all its efforts into producing foliage and not flowers or fruit. Testing the garden soil before applying fertilizer is the best idea. A soil sample should be taken from the top 4 to 6 inches of soil and from 4 to 5 locations within the garden area. This can be tested at a local extension office or other location, usually for a fee. The results will indicate any soil deficiencies, salt content and pH. Along with the results will be recommendations on specific fertilizers and application recommendations.